In a matter of years, you may be seeing a lot more electric Volkswagen vehicles on the road. In fact, by the end of the next decade you may be hard-pressed to find a non-electric model made by the automaker. The Seattle Times reports that VW Group – which owns a number of car brands including Audi, Bentley, Lamborghini, Porsche, and Volkswagen – has committed to an all-electric vehicle lineup by 2030. 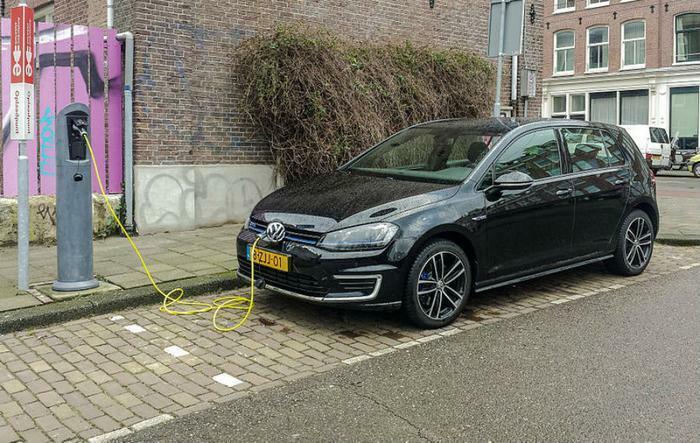 The announcement was made just before the Frankfurt Motor Show on Monday by VW Group CEO Matthias Mueller, who said that automakers must respond to the push for electric vehicles. “We have got the message and we will deliver. The transformation in our industry is unstoppable. And we will lead that transformation,” he said. The proclamation follows a similar one made by China over the weekend, which announced that it would be following the United Kingdom and France in phasing out fossil-fuel powered vehicles. Reuters reports that European automakers are starting to unite in an effort to move away from the traditional combustion engine, which has long been tied to air pollution. For VW’s part, the decision to move to electrification makes some sense considering the disastrous “clean diesel” scandal that it recently went through. However, the decision could still cost the company dearly. Experts say that phasing out combustion engines by 2030 could lead to 600,000 lost jobs in Germany alone. Mueller said that VW will be looking to spend an additional 50 billion euros to source battery cells to meet its own vehicle production needs by 2025. Despite growing public sentiment, electric vehicles have struggled to pick up steam in the global market. With the exception of Tesla, whose shares jumped 6% on Monday following China’s weekend announcement, electric vehicle makers have had trouble penetrating the market. Currently, electric car sales account for less than 1% of global car sales. Fiat Chrysler CEO Sergio Marchinonne has been outspoken in his aversion to electrification, which he says was based purely on cost estimates and an expected reduction in demand.